Electric underfloor heating beneath ceramic or stone tile can be achieved with either Under Tile Mat or Loose Wire options. Loose Wire or Cable Systems generally offer a more flexible layout for your electric underfloor heating solution in terms of both area coverage and designed watt's per m². 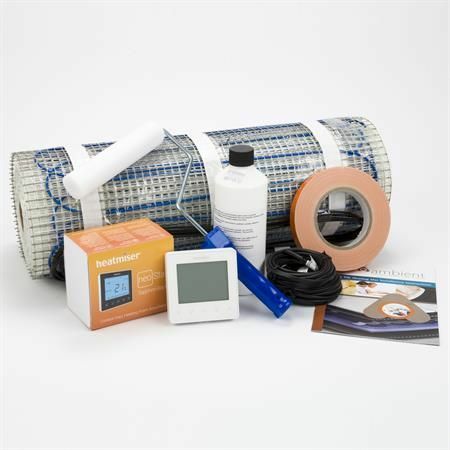 Heating Mat Kits generally provide a faster installation and a specific heat density from the low output 100w systems for floor warming to high output 200w systems designed to heat the whole room. The heating wires on the mats are pre-spaced for uniform heating across the covered floor area. 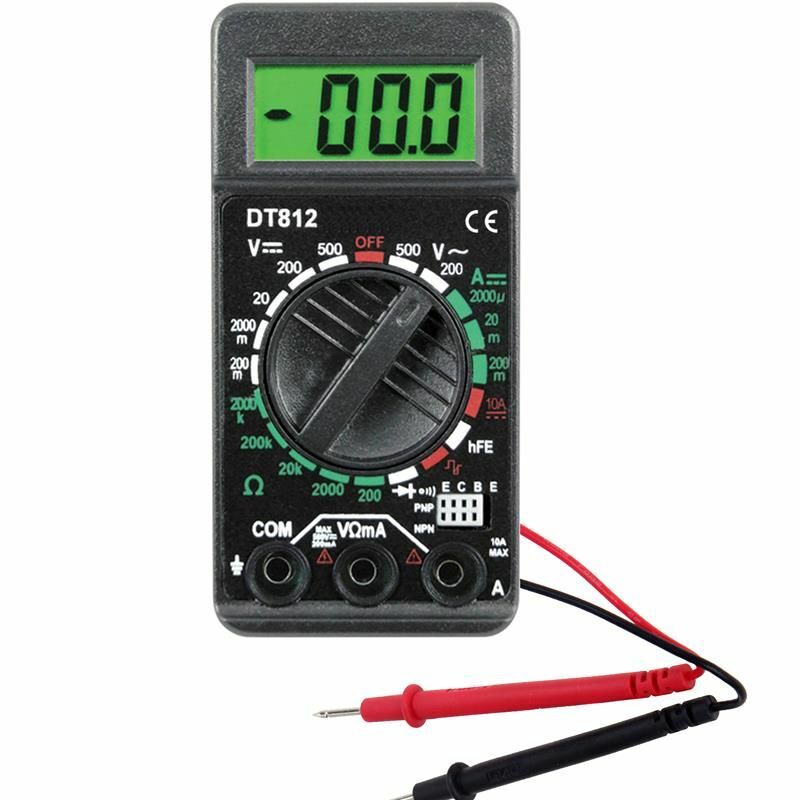 Our prices include VAT and Next Working Day UK Delivery if ordered before 2.30pm. The professional's choice for electric underfloor heating. 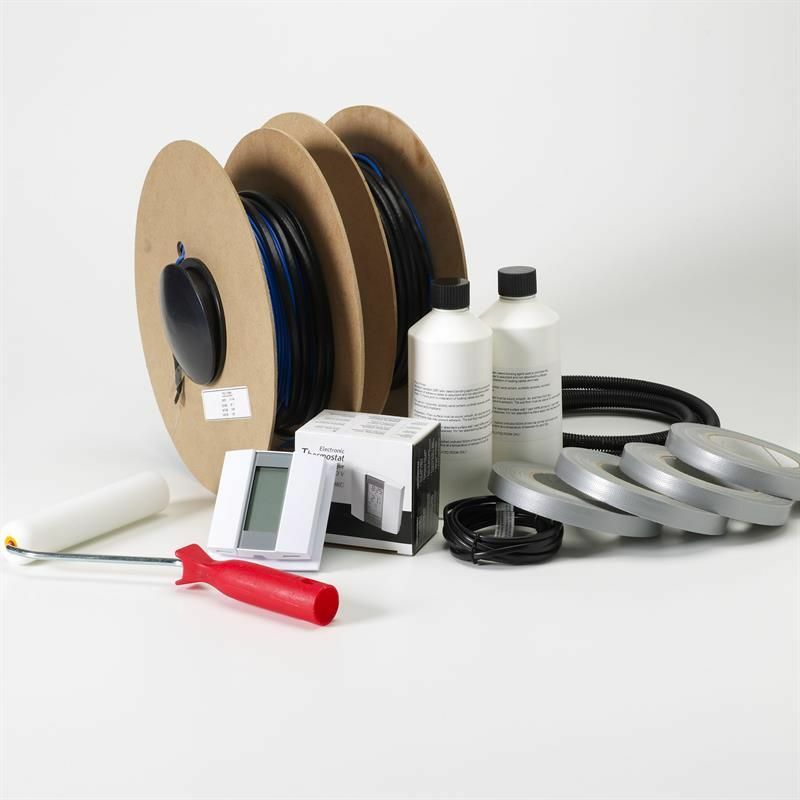 Electric underfloor heating cable kits offer greater flexibility than mat systems and supplied with additional accessories to make installation quicker and easier than with standard loose wire kits. 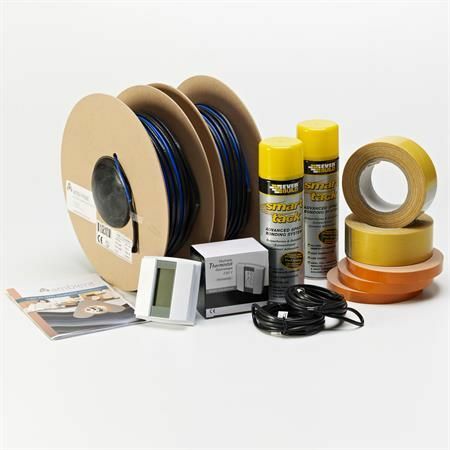 Complete with pro-installer pack and back-up floor probe. 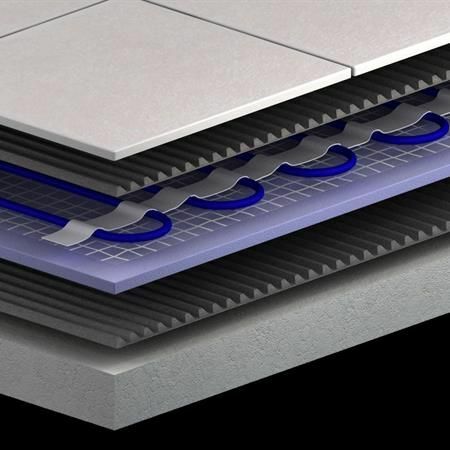 The ultimate self adhesive underfloor heating mat, designed for quick, easy & reliable installation. 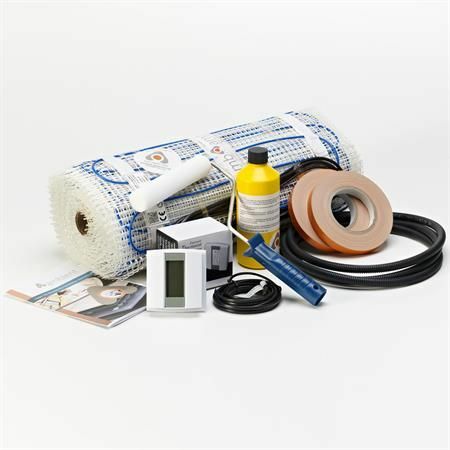 Available in standard 150w/m² and 200w/m² high output options, all self adhesive sticky mat kits are supplied with floor primers, twin floor temp probes and your choice of premium thermostat from Heatmiser or Warmup. Premium quality mats with ultra-tough heating cable and a self adhesive gel backed fibreglass mesh, all mats 0.5m wide. 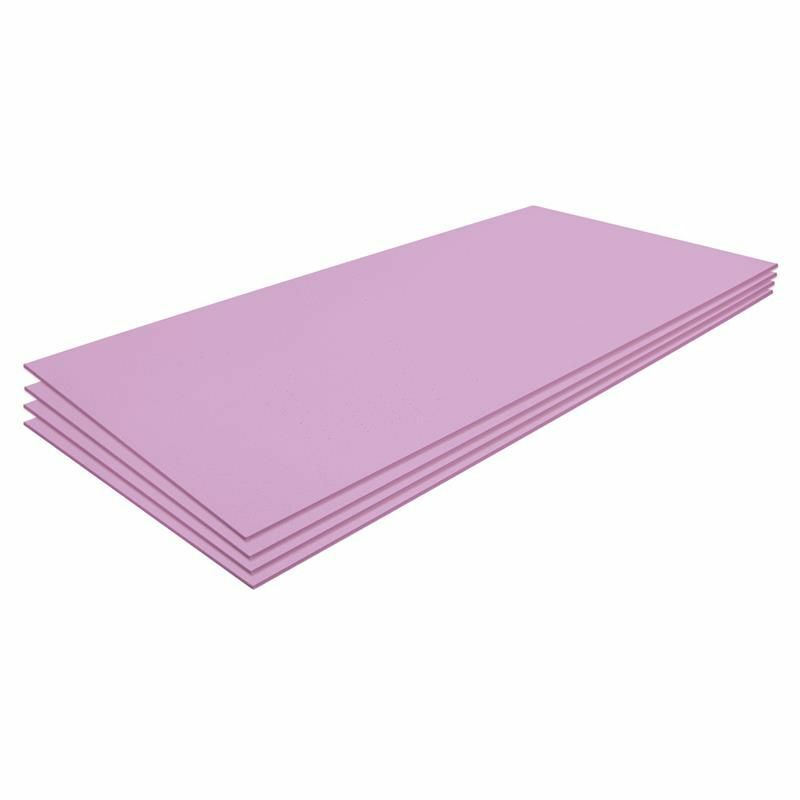 Always choose a sticky mat kit smaller than your open floor space, sticky mats can't be refunded or exchanged if the outer film has been removed. 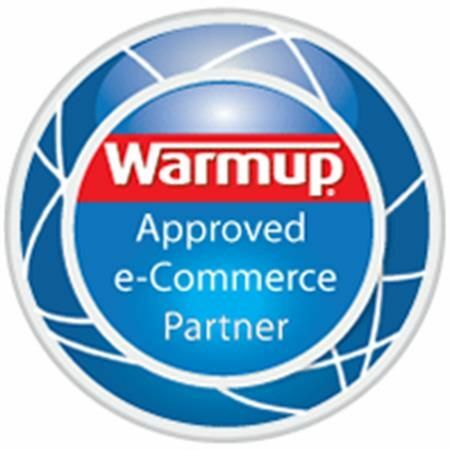 SPECIAL OFFER - Extra 5% off Warmup Heating System Today, enter coder WARMUP5 at checkout for an additional 5% off your full order value**. 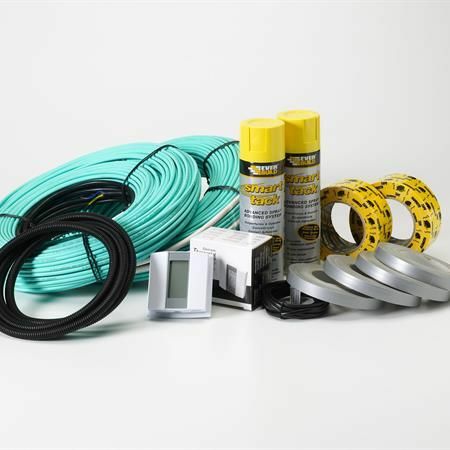 Designed for underfloor heating installation within or beneath the floor screed. Heavy duty 6mm diameter twin wire earth screened cables supplied with full range of fixing accessories. Used as a cost effective primary heating solution in new build projects.